Here’s all you need to know to make it great. Thank you for hosting a food drive for CCD. The food you collect will soon be on the tables of those hungry in North Texas. The food is not simply a meal, but a symbol of hope. We know coordinating a food drive can be a lot of work. Our hope is this tool kit, full of tips and ideas prepares you for a successful food drive and that you remember the impact you’re making in the lives of those in need. Thank you, again, for your support. We are here to help and support you in whatever way we can and we wish you a very successful food drive. 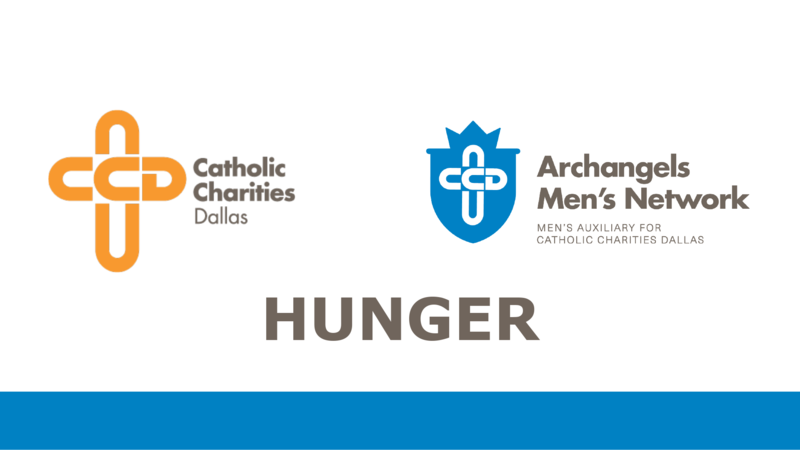 Every day, Catholic Charities helps our community’s most vulnerable by taking on the effects of poverty and helping all those in crisis move toward a better life. If we can’t help, we know who can.